Why use PIPE PIER® for your solar installation? 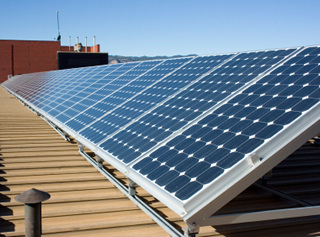 The Federal government and many states continue to offer generous incentives to install solar on a roof. Even with these financial incentives, a typical 4kW bank of solar panels can still cost in excess of $50,000. PIPE PIER® provides the best support for your solar panel install and helps to protect the panels from standing water and ice. If you are a solar panel installer, call PIPE PIER® at (763) 745-4223 to find out more information on how PIPE PIER® products can make your solar panel installations more economically and more secure. PIPE PIER® can be used for best-in-class support for solar panel installation on commercial roofs.